The Child Play franchise is certainly not among the best among horrors (but then which long running one has managed to stay on top?) but it has earned a special space in the heart of genre lovers, mostly thanks to its central character, the mischievous (ok, evil!) 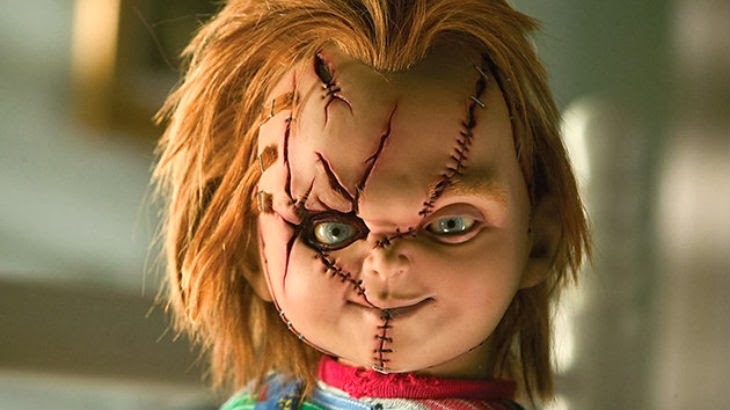 child doll Chucky and the talent behind the voice: Brad Dourif. It has valiantly been been going for nearly 25 years now, with a fairly subpar sequel then threequel, before becoming really out there with The Bride then The Seed of Chucky. 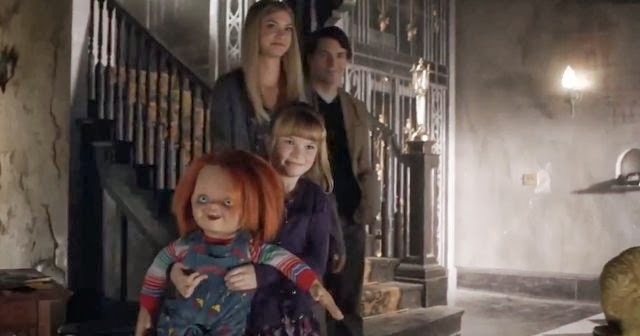 So it's back to the roots and back to basics, in a film whose single setting (a gothic mansion) and simplified script: the evil doll finds its way to a house (with an ulterior motive...), and promptly despatches its inhabitants. It starts off quite well, after the obligatory pre-credits kill, with a very amusing dinner scene and a great death scene. But I must admit it does not quite fulfil its potential, and while I am not fan of the frantically edited modern horrors, here it takes it time a little too much and lacks of tension, with some fairly banal death scenes. If anything it feels almost a little retro, reminding me of some of more average horrors in that phantom zone of the genre within the late 80's/early 90's. Interestingly, the spirit of the recent sequels is not gone completely, thanks to a couple of rather darkly funny elements and trashy touches which I will not spoil. There are a couple of fine performances too, with Fiona Dourif the knockout, with a real screen presence, as well as a nice turn from Danielle Bisutti as a demented religious type with secrets of her own. And Brad Dourif's voiceover is endlessly entertaining , with his interactions with the young daughter of the family despicably funny. As for the doll itself, it has gone through a slight but successful new design, being at once more child-like and more sinister. The ending is rather intriguing, and I wonder if any potential sequels will follow up from it or scrap it altogether and take a safer path of some more doll mayhem. Curse Of Chucky played well at FrightFest last year and I can imagine it being a lot more enjoyable in a crowded audience of fans. As it stands, it's a perfectly enjoyable if slight new addition to an enduring franchise, which, like the little guy itself, will seemingly never die!